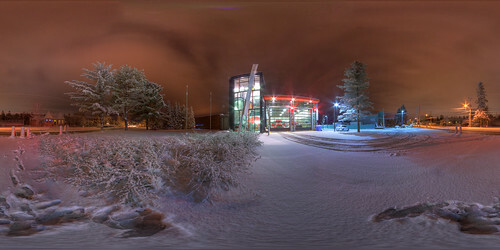 When it first snowed in October, I went to take a little pano of this neighborhood fire station. I thought about removing my steps in the snow, but decided to keep the "scorpion" shape it made. I only removed the 3 dots made by the tripod. Shot at 10mm, ISO400 f13 and 8s +\- 2 stop. 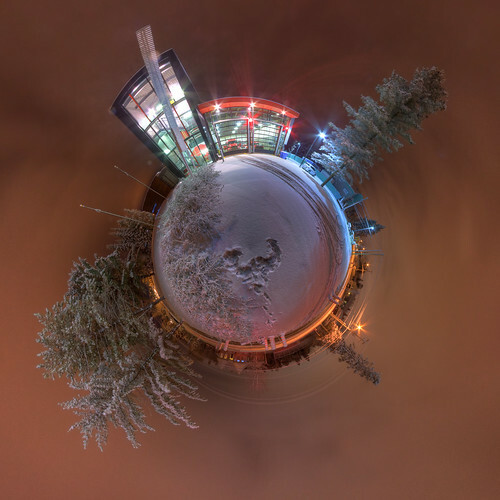 Brought back the equirectangular pano in hugin to generate this stereographic projection. Tap Shoes in low key!